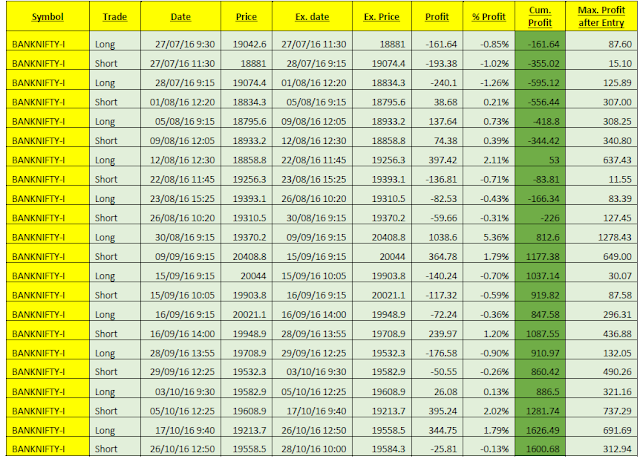 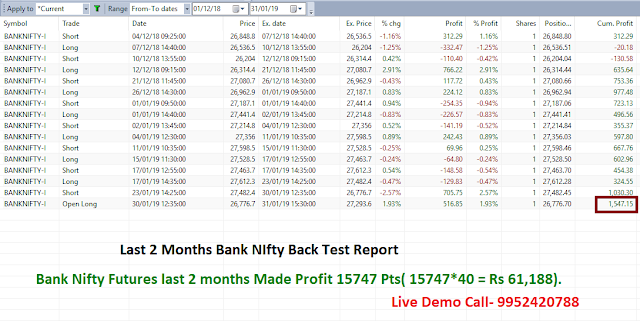 Nifty 11000 PE Shorted @ 248 And Profit Booked @ 60% 99 Rs(+ 148 Pts). Bank nifty Bought @ 27230.5 now 27578 (+347 Pts )Profit.Still In buy Trend..
Nifty Bought @ 10763.5 now 11128 (+365 Pts )Profit.Still In buy Trend..
Bank nifty Future Bought @ 26776.7 now 27126 (+350 Pts )Profit. 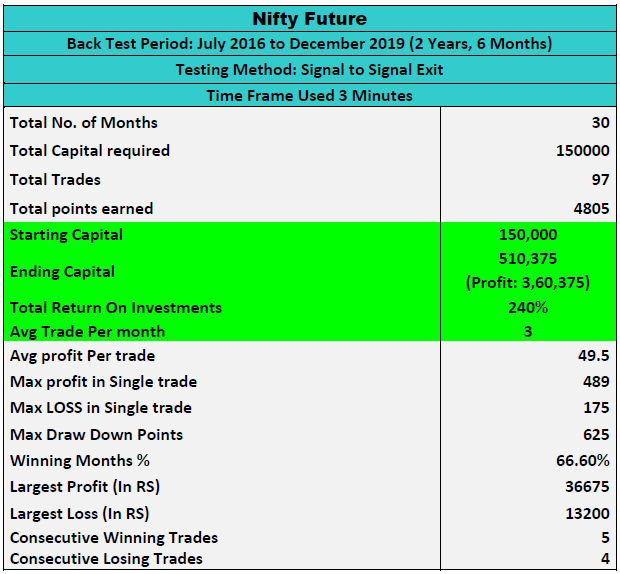 Nifty future Bought @ 10808.7 Now 10918 (+109 Pts). 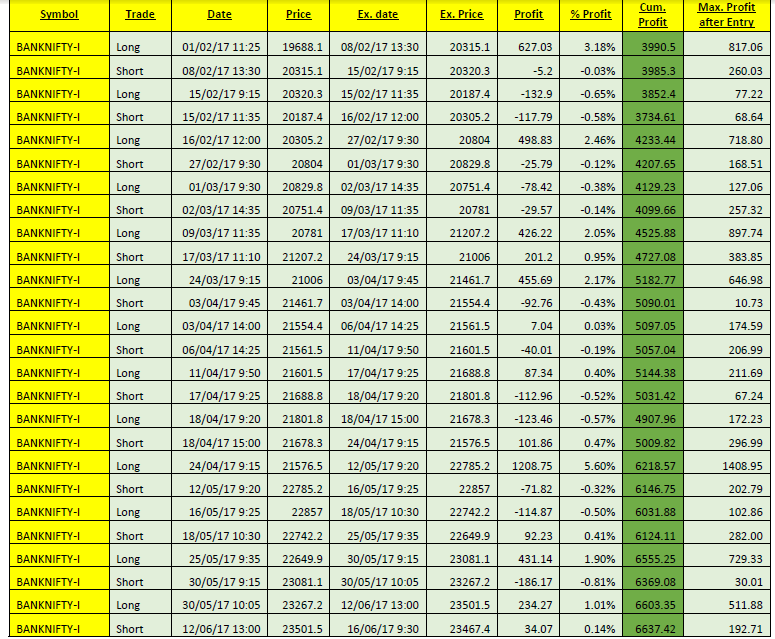 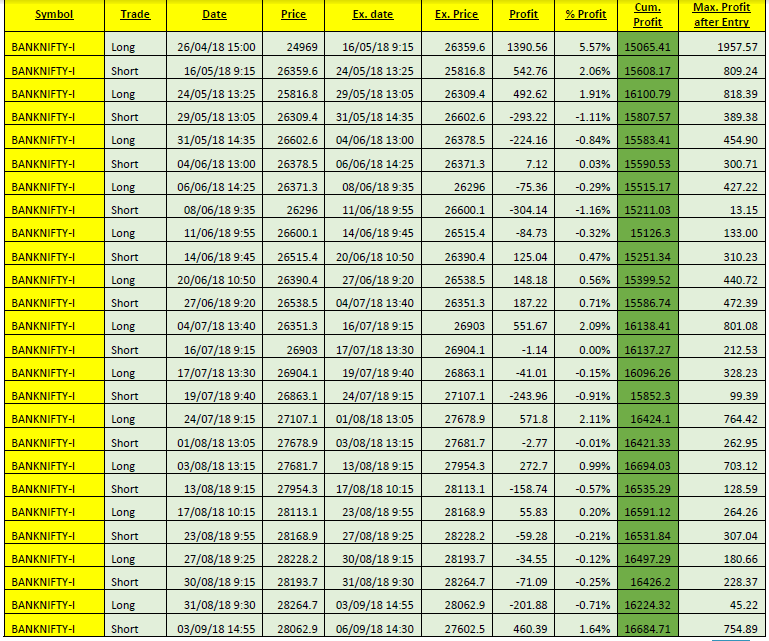 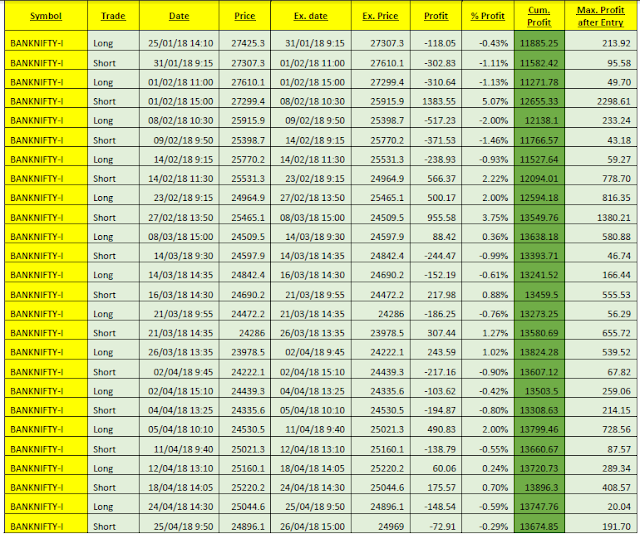 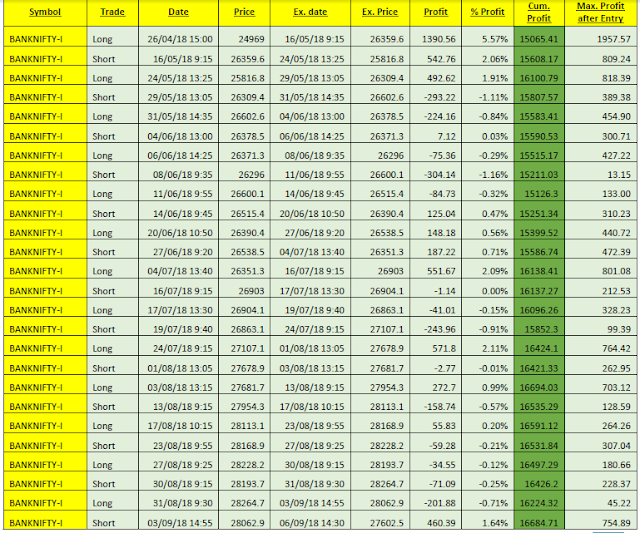 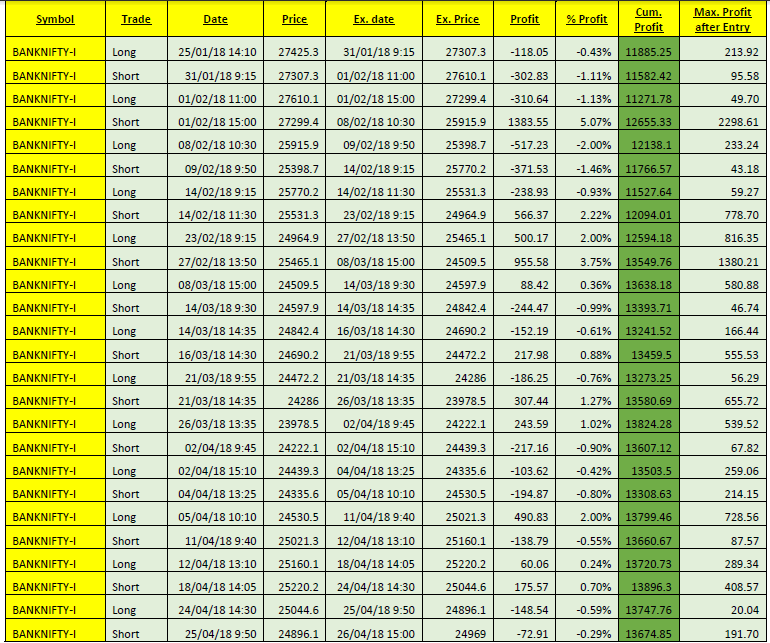 Nifty 11000 PE Shorted @ 248 Now 208 (+40 Pts Profit). 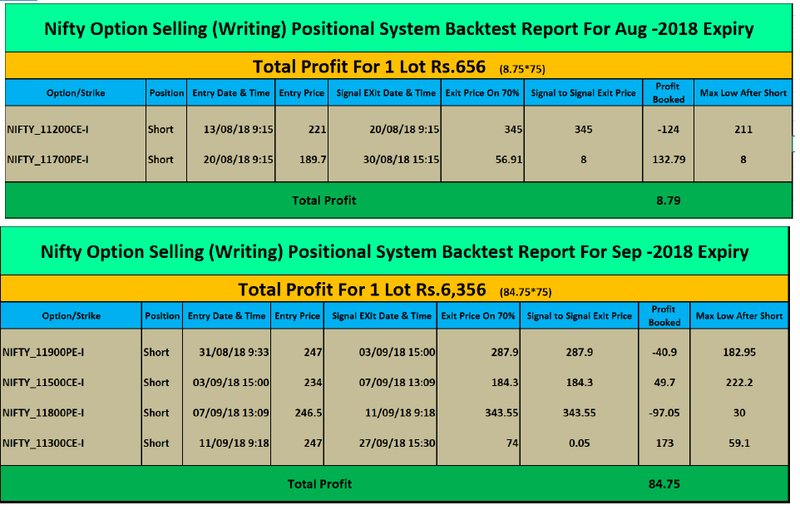 Still in Sell Trend. 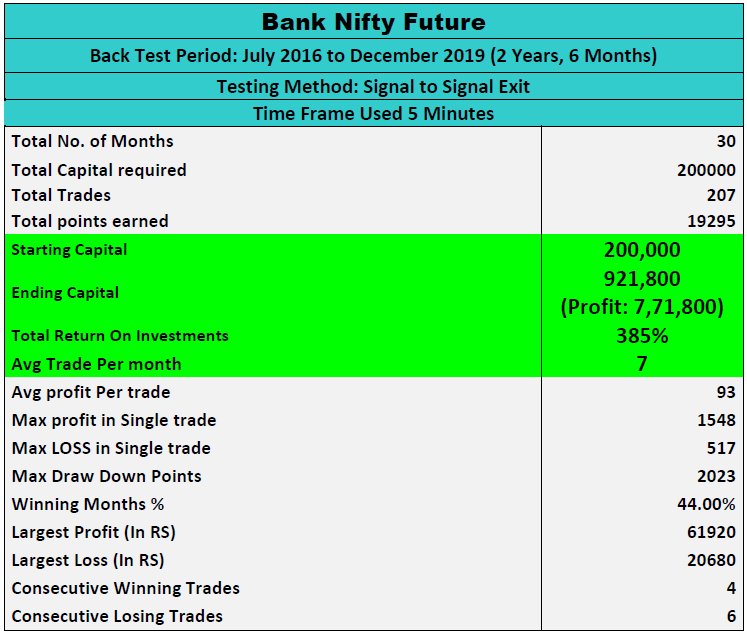 Bank Nifty Futures Last 2 Months Back Test Report. 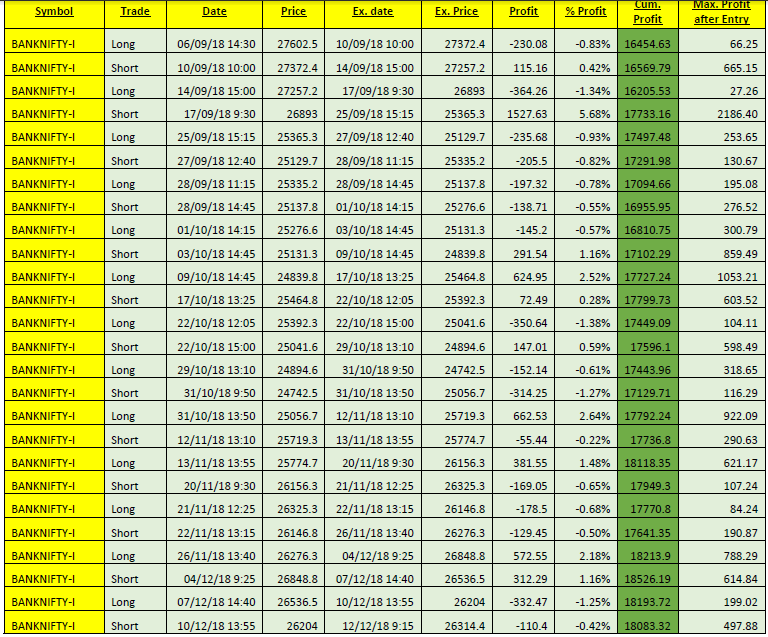 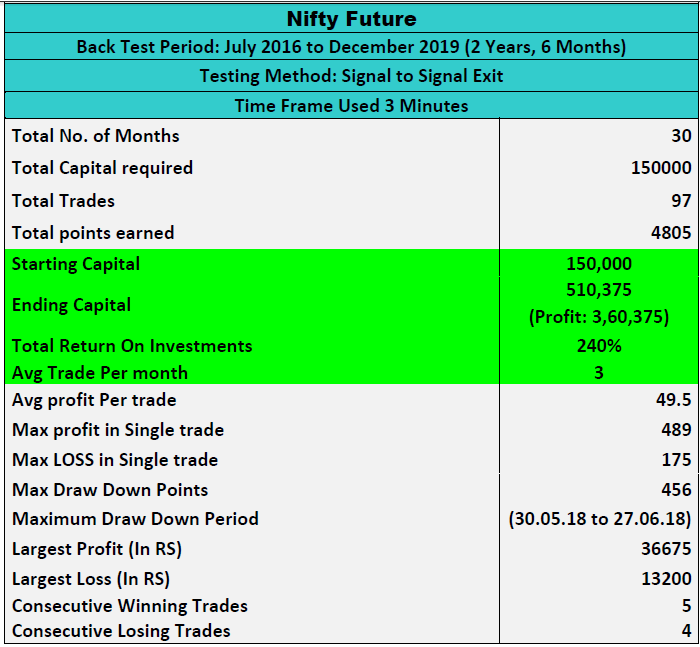 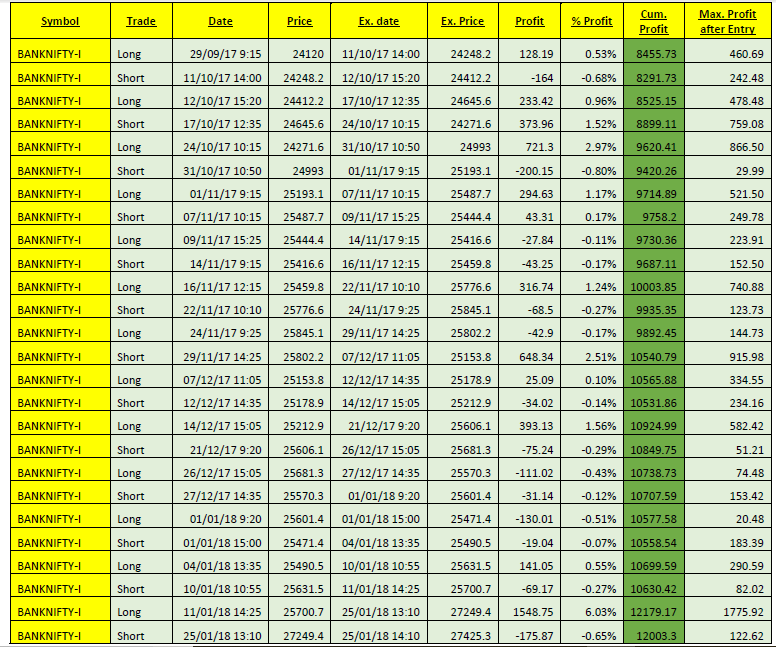 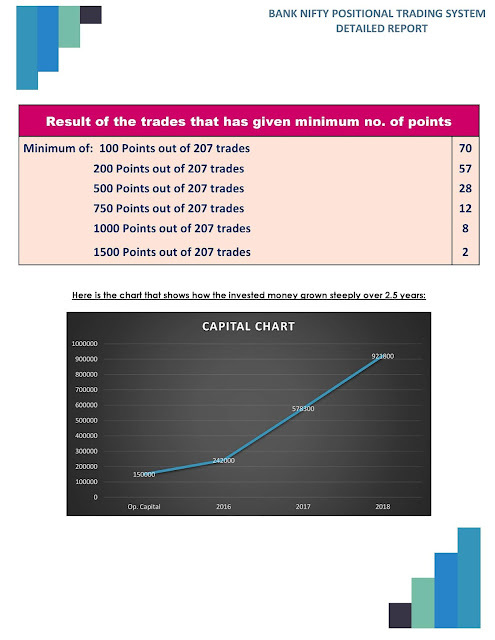 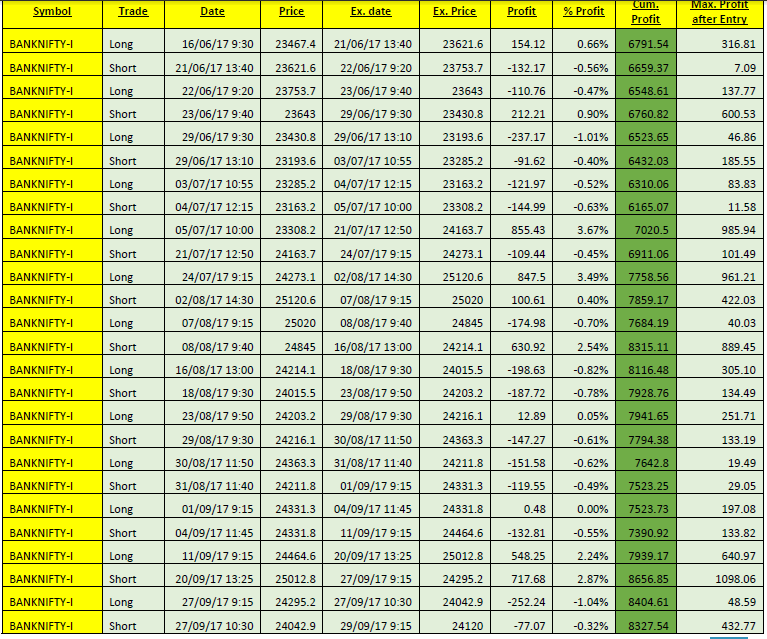 Nifty Futures Last 2 Months Back Test Report. 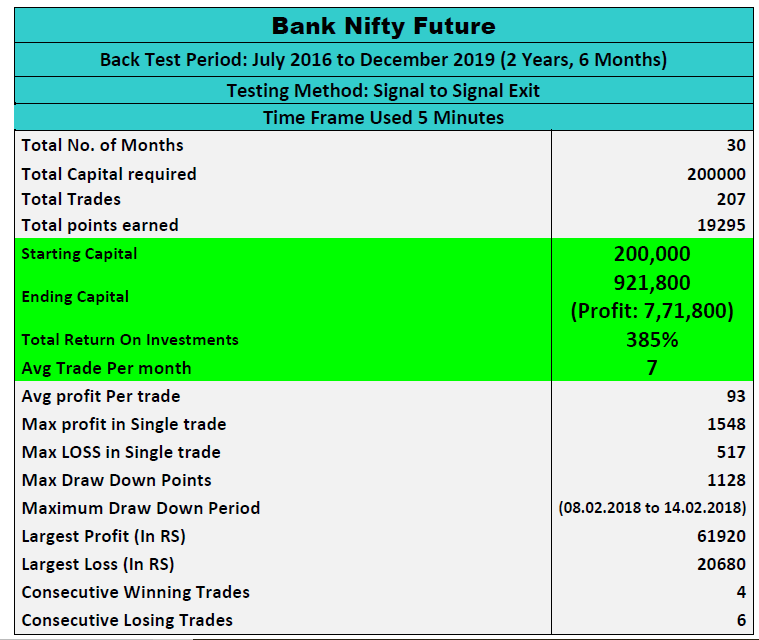 Bank nifty Future Bought @ 26776.7 now 27010 (+233 Pts )Profit. 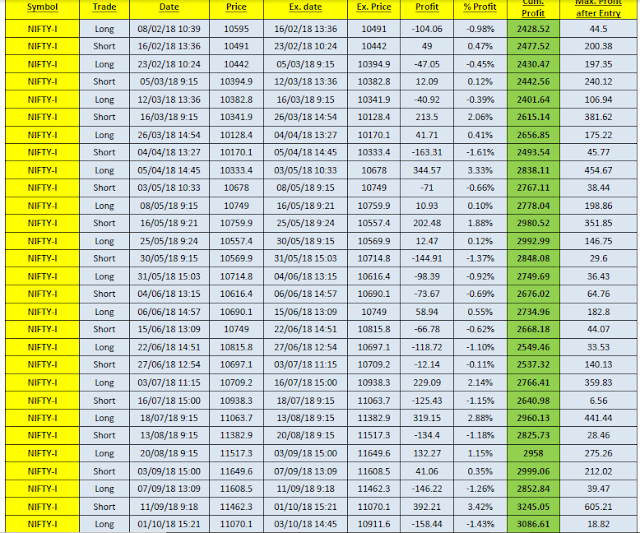 Nifty 10700 ce Shorted @ 238 and exit 70% Profit @ 71 Rs. 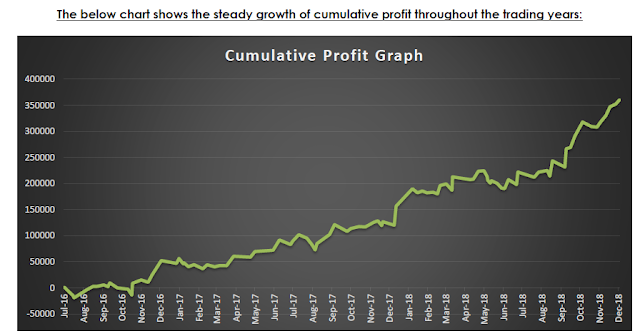 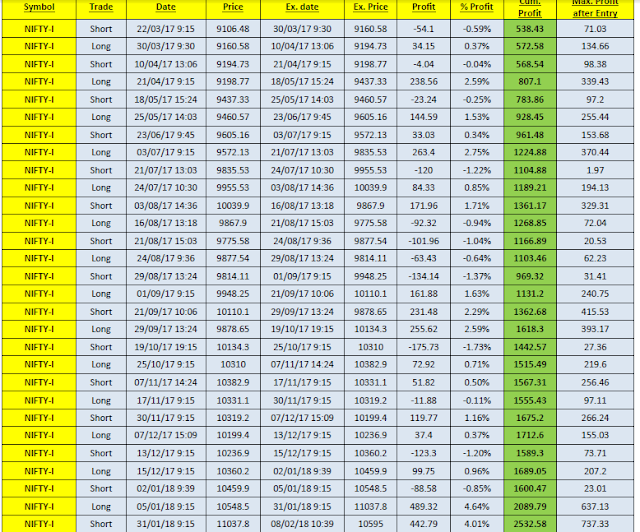 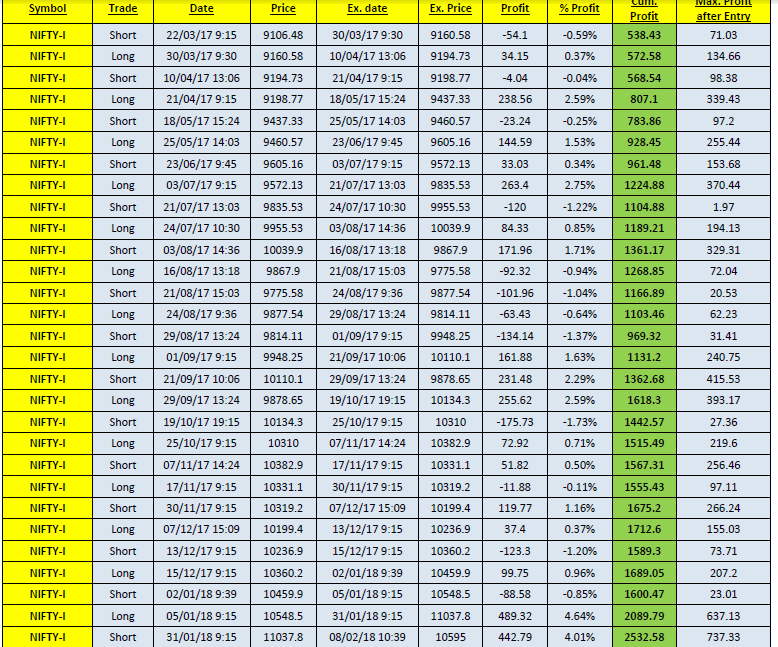 (+167 Pts)..
“Day trading is highly addictive. 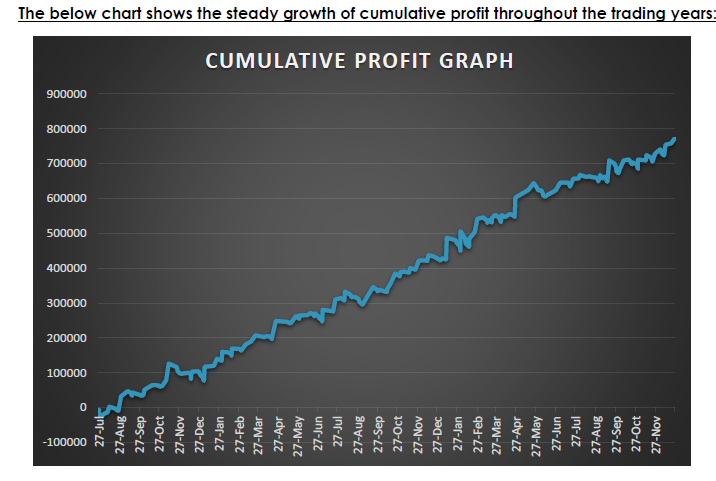 The fast action and quick good and bad results create a highly addictive environment which can easily sway you away from the goal, which is to make consistent returns from the market. 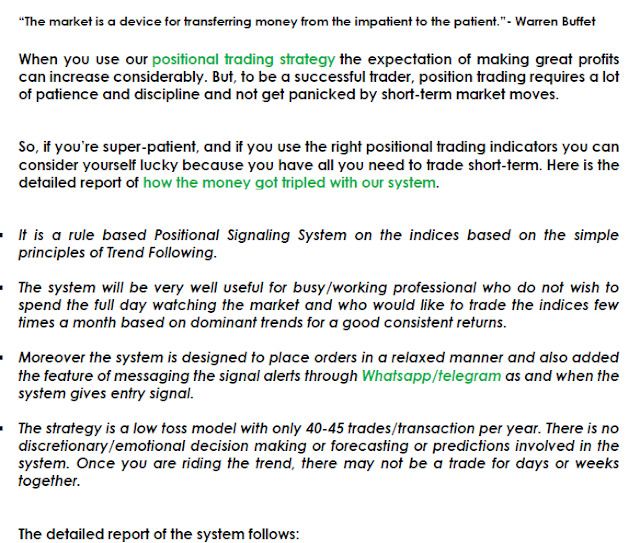 Moreover stock selection and a proper system is most important part in intraday trading, which is not an easy task”. “To attend all the signals and to have a proper capital which includes for the drawn down phase of the system”. If these are in control of the traders, then no one can stop the consistent return from the market. 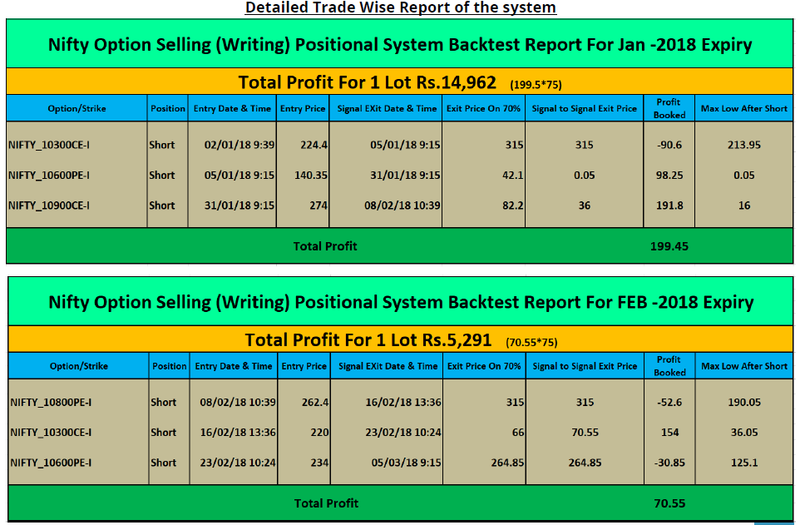 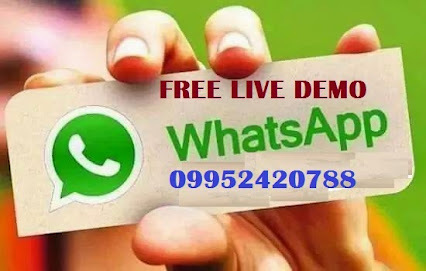 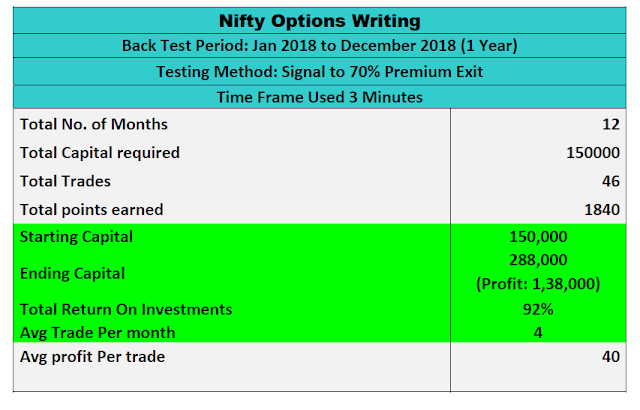 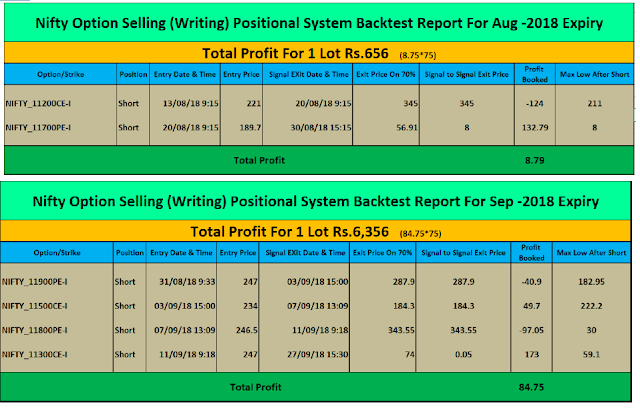 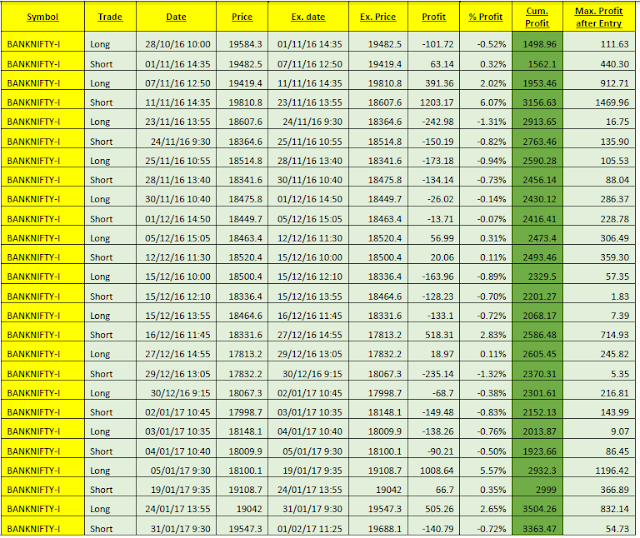 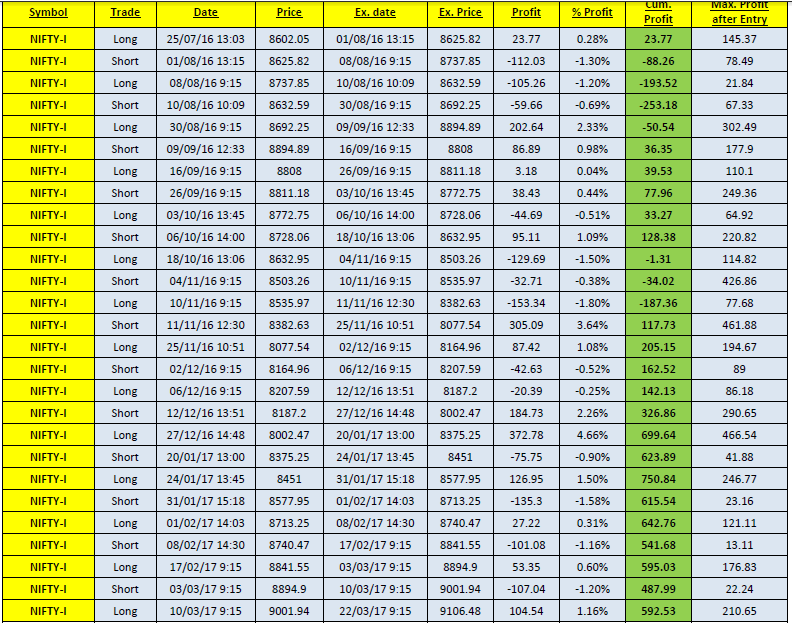 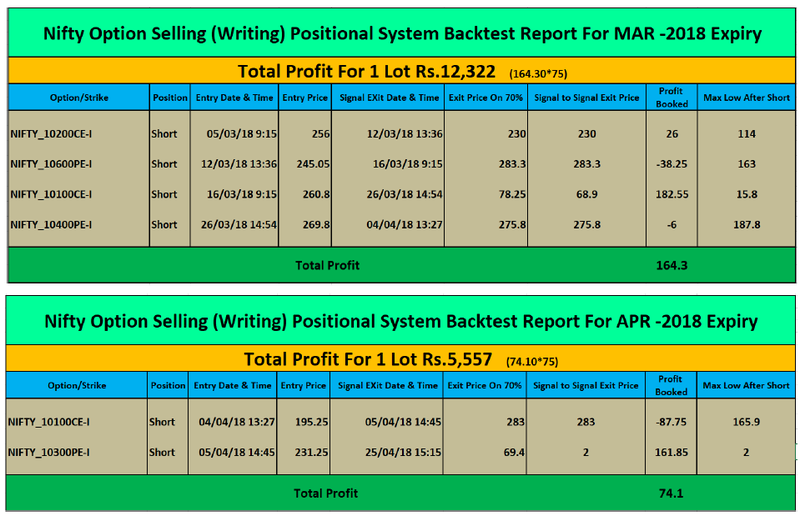 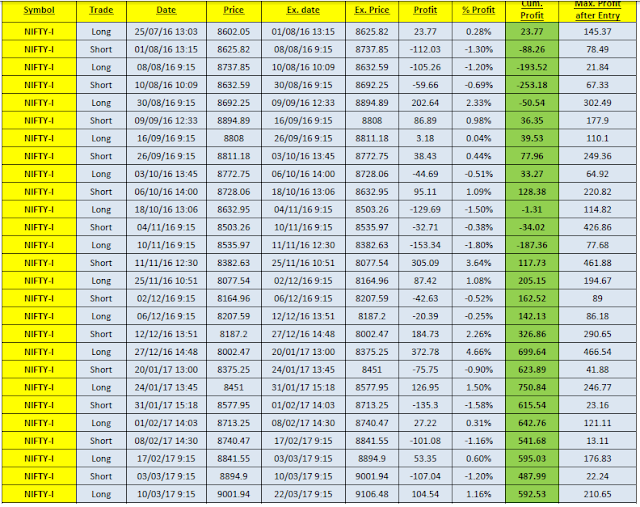 Our Nifty And Bank nifty Positional Trading system Gives More-than 300% returns..
Nifty Option Writing (Selling) Positional..
Bank Nifty Future Short @ 27482 On 23/Jan/2019 @ 14:25 . 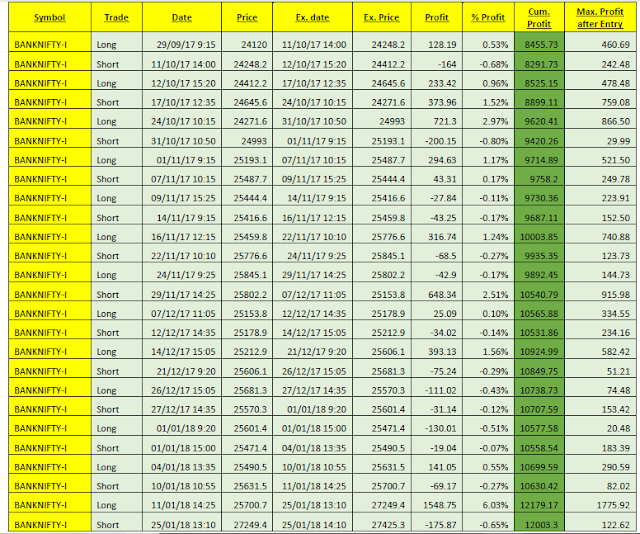 Now 26935 (550 Pts Profit). Bank Nifty Future Bought @ 27356 On 01/Jan/2019 @ 12:30 . 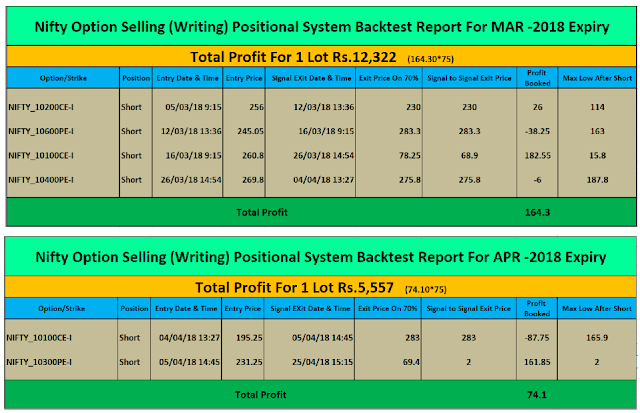 Now 27760 (400 Pts Profit). NIFTY & BANK NIFTY FUTURE POSITIONAL (SWING)TRADING SYSTEM .